If you don’t restore your classic car the right way, you run the risk of doing it some serious damage. But if you’ve never restored a classic car before, you might not know how to do things properly. Thankfully if you’re in this position, you’ll be happy to know there are some proven tips you can use to help you restore a classic car. Keep reading and I’ll share 8 classic car restoration tips that’ll work even for beginners. Make use of these tips and it won’t be long before your classic car looks as though it just rolled off the lot. Restoring a classic car is not something that should be rushed. Most of the problems people run into when restoring a classic car, generally arise due to rushing things. You need to be prepared for the fact that it’s going to take time to restore the car. There will likely be certain parts of the car that need more attention than others. These aspects will need a lot of attention to detail and this will inevitably take up a lot of time. The good thing is that you don’t have to do all the work in one go and there is nothing wrong with stretching the work out over a long period of time. The key thing you need to be aware of though, is that there is generally a lot of work involved in a project like this. If you don’t think you have the resources needed to handle a classic car restoration project that’s fine. You can always buy a classic car that has already been restored. If you’d like to find out more about this, you can visit this site. 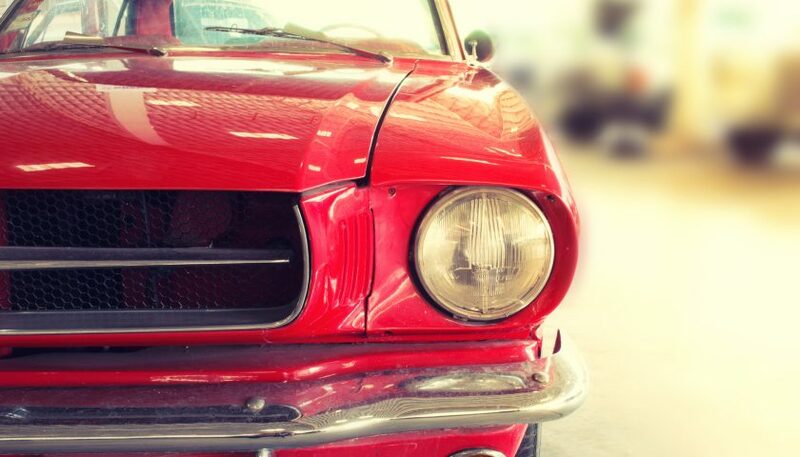 If you don’t currently own a classic car, you’ll likely want to buy a car that you can restore. There are two things that are generally going to impact the cost of the project. The car you pick and the amount it needs to be restored. Some classic cars are going to cost more than others. But whilst this might sound obvious, you also need to keep in mind that some of the more expensive cars will have more expensive parts. For example, it might cost a lot more to restore the interior of a ‘premium’ classic car than it would for something that isn’t so upmarket. Needless to say, even if you buy a basic classic car, you’ll still have to spend a lot of money to restore it, if the car is in poor condition. After all, you’re going to need to buy a lot more parts for it. You’ll also have to spend more time on it. It’s hard to say what you’re going to need to spend ahead of time. Just make sure you check the costs of parts before you commit to investing in a project. Finding classic cars you can restore can be a challenge. You don’t want to end up overpaying. Luckily, there are many places that sell classic cars, a lot of which are unconventional. These options work well because they often allow you to take advantage of a bargain. should be able to avoid investing in a bad deal. Unusually, one of the best places to look for classic cars is in classified ads. You might want to buy a paper from a wide variety of large cities to see what is on offer. 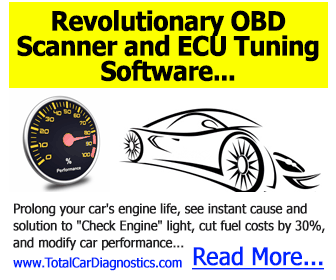 You can even take a look at the ads within specialist driving magazines. These will have sections dedicated to classic cars. You can also check out websites like eBay. There will be dedicated sellers on these sites that only deal with classic cars. When you’re buying from such sites you need to be careful. You often aren’t able to see the cars in person and this can create problems. Make sure you ask the seller as many questions as you can, of which will allow you to judge the quality of the car. Also take some time to check the history of the seller, to see if they’re reputable or not. Be sure to do your due diligence if you’re going to import a car. If you’re struggling to find a car using the locations mentioned, visit specialist sites and forums dedicated to classic cars. These sites might not be able to provide you with a bargain, in terms of the cost of the car. But you should be able to see a much wider variety of cars on these sites. The good thing about these sites is that they’re home to a lot of experts. This means you can crowdsource a lot of knowledge in terms of how you should go about restoring a particular car. You may even want to take the offline approach of visiting a classic car show. There will likely be people at such shows who are willing to sell their cars. Restoring a classic car is going to need for you to invest in some tools. The tools you need are going to vary on the project you’re dealing with. You will need some of the basics like a screwdriver, wrench and a drill for even the most basic of projects. But if the project is quite complex you might need to invest in something like an engine crane. Such items can be quite expensive and again, it’s important you’re aware of the costs before you take on a project. Keep in mind you can always source certain items second hand. If you’re going to do this, though, make sure you are certain the items you’re buying are of sound quality. 6. Should You Stick to the Rules? When restoring an old car, you can pretty much do whatever you want. Sure, you’ll need to stick to the rules regarding the mechanics of the car. But when it comes to aesthetics, you can customize it the way you want to. You don’t have to restore the car so that it looks like an original. You can add your own design and do things how you think are best. This is something worth remembering if you’re struggling to source original items for a restoration project. You also want to think about having a certain space where you can store your car. You probably don’t want to keep your restoration project out on the street. So think about making room in your garage. You might even want to invest in a specialist storage facility, that’ll help you look after your car. Storing your car isn’t enough to keep it in optimal condition. You’ll want to make sure you’re taking steps to reduce mold. You can do this with the help of a dehumidifier. You’ll also want to ensure your car is turned on at least once a month. This can help prevent the battery from going flat. Once your restoration project is completed, think about creating a checklist of things you need to do every month. As long as you follow this checklist, your car should look good for many years to come. Do You Understand Classic Car Restoration? Restoring a classic car is the dream of many. But if you don’t know what you’re doing, taking on such a project can be incredibly challenging. In this post, we’ve reviewed some tips that can help you during a classic car restoration. You should think about the amount of effort it is going to take to complete such a project. You also want to be aware of the costs involved, in terms of the parts needed for the car. Once you’ve finished your restoration project, it also helps to think about where you’re going to store your car. This’ll ensure your car doesn’t quickly deteriorate after all the hard work you’ve put into restoring it. Want to learn how often you should change car tires? Check out this post to learn more!